A new notice of intent from the US Drug Enforcement Agency (DEA) advises that kratom undergo emergency drug scheduling—a process that would classify two of the plant’s constituent chemicals to schedule 1, in the company of heroin and GHB, where it would remain for at least two years. That change is expected to go into effect by the end of September. 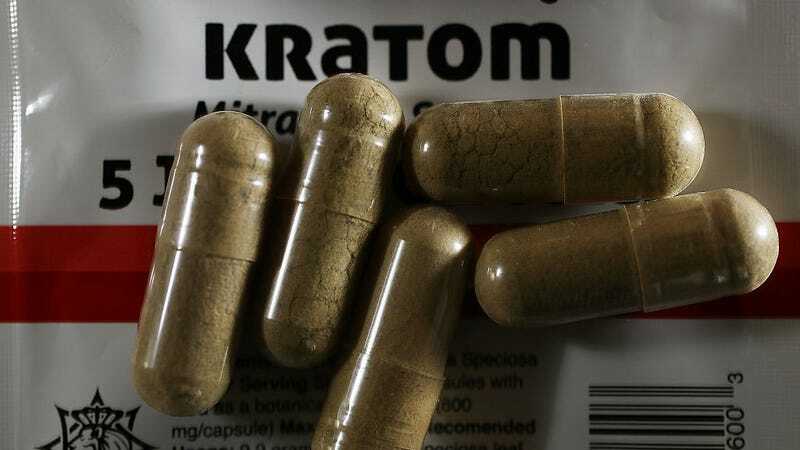 Among addicts in particular, kratom has been described as a sort of miracle herb, one that helps alleviate the side effects of opioid withdrawal without itself being addictive. But kratom has also developed a bad reputation, as imitators and adulterated preparations have led to serious side effects and fatalities. The FDA has been freely confiscating shipments of kratom since 2014, though it’s still quite easy to buy online. The DEA lists potentially harmful effects to humans that mirror the findings of the FDA—findings we reported were not particularly well-sourced or investigated. Likewise, regulatory notices continue to refer to the constituent chemicals mitragynine and 7- hydroxymitragynine as opioids, which they aren’t. The letter of intent claims the emergency scheduling “will not have substantial direct effects on the States,” though many states have struck down proposed legislation to ban kratom. While the scheduling would remove from market the fake and often dangerous products claiming to be kratom, it’s also likely to lead addicts back the substances they’re attempting to quit.